Perhaps you’ve heard about Christmas through the eyes of the shepherds. Or, maybe, you heard of Jesus’ birth from the Magi’s perspective. Or was it from the view of angels or Mary or Joseph or the Old Testament prophets? This Advent season we will prepare our hearts by reflecting on what the 1st Christmas meant to Jesus himself. 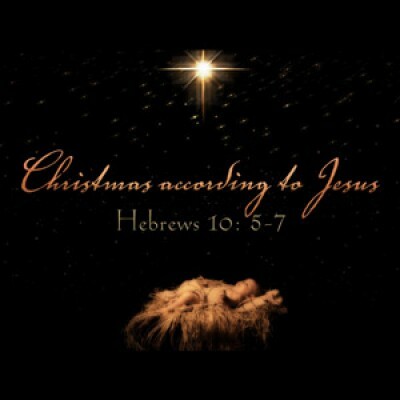 Join us this Advent as we celebrate the coming of the Messiah in a series entitled, “Christmas According to Jesus” (Hebrews 10: 5-7).